Answer: Yes, you can. 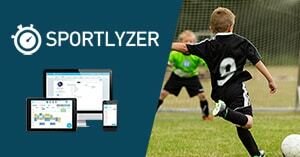 Sportlyzer offers 3 different ways of uploading your training data from your GPS watch or any other tracking device. Many people use GPS watches like Garmin or Polar or some other popular tracking service. If you are one of them, you can set up a sync with their online training log. To connect your account go to your training diary and select "Sync" and "Add or remove trackers". After that, you can choose from the following services. If your services are not listed, you can try to upload training files manually. Check out option 2 and 3 below. If you are able to get your workout as a single file, you can upload this file by dragging it from your folder and dropping it into the training entry windows in your training diary. Since there are so many different trackers, we recommend to google how you can access your training files. In addition, there are a lot of different data types to store workouts. If for some reason, your upload fails or your data format is not supported, please send us an email and we will try to add the missing data type. Upload multiple workouts from one file.